Apple app store reached the pinnacle of success within a short time. Consequently, iPhone applications are downloaded innumerable times by customers. Thus, iPhone app development can be a very lucrative venture for companies and entrepreneur. Even established companies and organizations will have added business advantage if they have applications and products running on iPhone. At Webenergise, our team of expert and highly-skilled developers can transform your app idea into a tangible reality. Whether it is Native iPhone Applications, iPhone applications for the web, geolocations app development, mobile advertising and monetisation, interactive ads, testing and analytics: our app developers can do it all! The iPhone developers have varied qualifications and professional experience. However, they work in harmony together and orchestrate smart and attractive apps. Moreover, to give brand access to iPhone and iPad touch customers worldwide, we can develop iAds to open up a whole new world of advertising. Interactive ads can be created with HTML5 and include advanced graphics and animations. You can also port an existing application to iPhone. By doing so, you will gain a new user base and assuredly better productivity. Our iPhone developers will take care of the situation in a way that will fit your budget. Our iOS developer Sydney work with a sophisticated platform and develop sophisticated iPad apps. iPad is multipurpose in nature and iPad applications are very popular because these have a positive impact on business, health, education and other sectors. 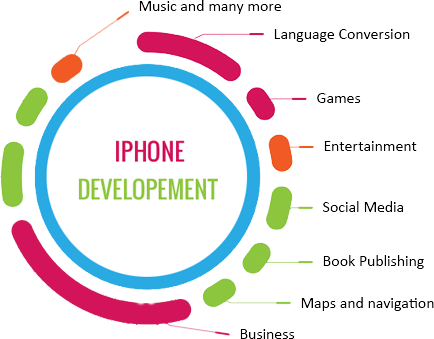 Hire iPhone developers from us to reach the zenith of business success.